New Melbourne Browncoats, Inc. | CSTS Live Auction Lot #3 is signed by Morena Baccarin & Lot #4 is signed by Alan Tudyk!! Win a signed Jason Palmer Firefly print signed by Jewel Staite & Ron Glass at CSTS on 2 August! Can’t Stop the Serenity Schedule for Saturday and Ticket Update! CSTS Live Auction Lot #3 is signed by Morena Baccarin & Lot #4 is signed by Alan Tudyk!! The third and fourth of our five auction items that will be going under the hammer at our Can’t Stop the Serenity charity event on August 2 are signed by Inara and Wash! 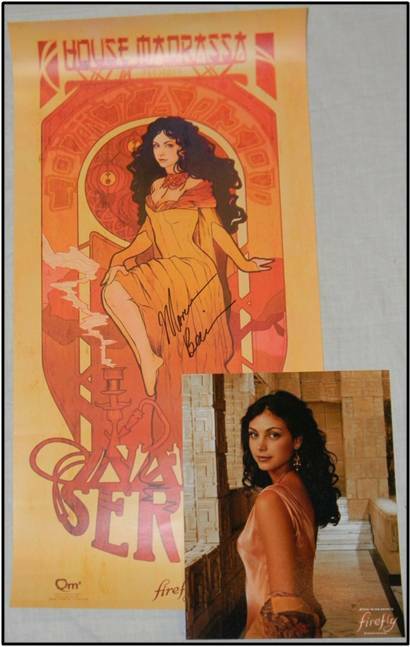 Lot #3 – a stunning “Les Femmes” Inara print signed by Morena Baccarin, paired with a glossy 8×10 photograph of Morena as Inara. 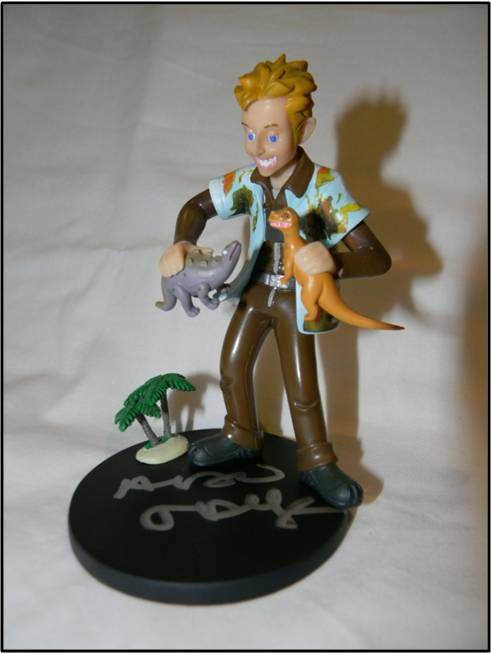 Lot #4 – a Limited Edition “Little Damn Heroes” Wash Maquette signed by Alan Tudyk.